Friends For Tomorrow exists because of the extraordinary support we receive from many individuals, foundations and corporations, and the generous number of in-kind donations from our donors. We are honored to have received grants from many foundations during the past 20 years. We are so very grateful for their support, and extend a heartfelt thank you to these caring organizations, whose interest in our work has so dramatically impacted the lives of our riders. In 2004, Friends For Tomorrow started the Annie Gorman Ridership Fund in memory of student Annie Gorman, who passed away that spring at the age of 11. She was a bright and bubbly girl who made a lasting impression on everyone at Friends For Tomorrow. Annie epitomized the saying “The outside of a horse is good for the inside of a child.” We will always remember her legacy: to love life, to share time together, to smile, and to be a wonderful friend. In Annie’s honor, Friends For Tomorrow pledges to help riders participate in our programs regardless of their ability to pay. 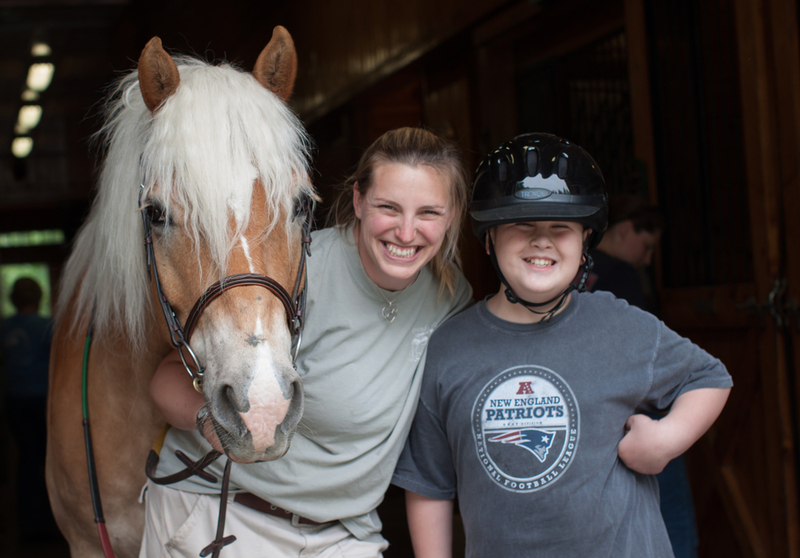 The Annie Gorman Ridership Fund, supported by the gifts of generous donors, helps students with limited financial resources obtain the spiritual, emotional, and physical benefits of therapeutic horseback riding, driving, and related activities.